Sure-fire shooting entertainment for 2 pistol plinkers! Put-TING! 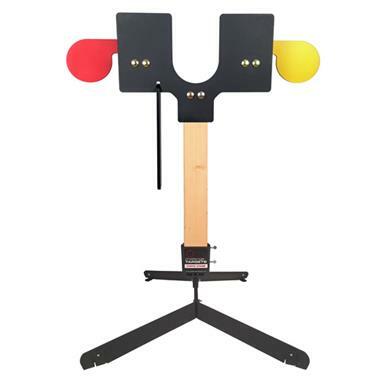 Enjoy no-hassle shooting fun at a great price! Quick Draw Pistol Target puts a fun-filled "spin" on creating your own, private shooting gallery wherever you can safely and legally shoot. Hone your targeting skills and reaction time as you play by yourself or challenge a competitor. Yes, 2 shooters can play! Ready, aim... fire! 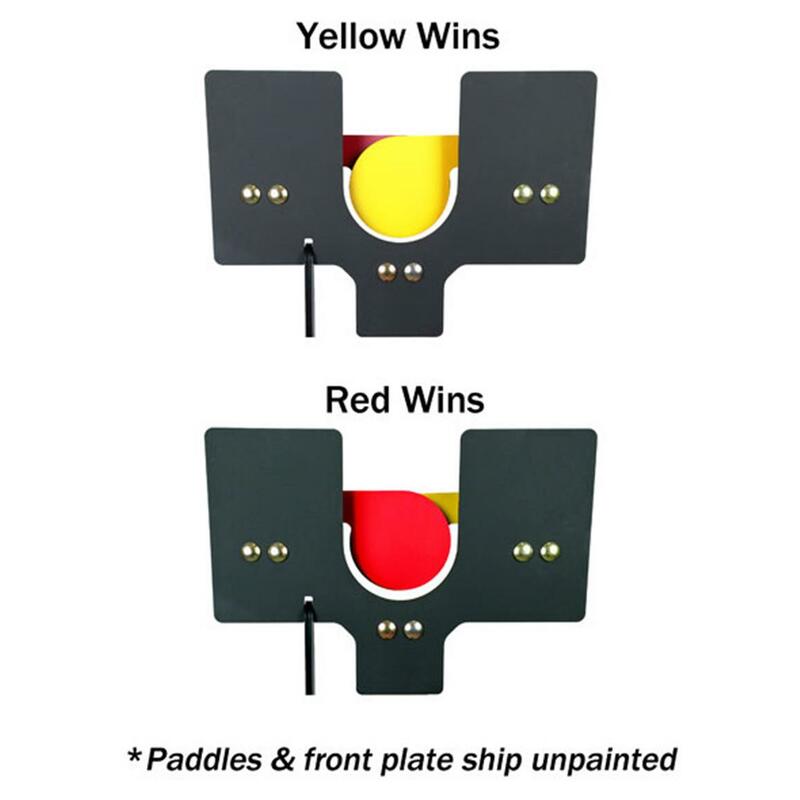 Left and right paddles are painted different colors. Two Shooters engage the target simultaneously on command. 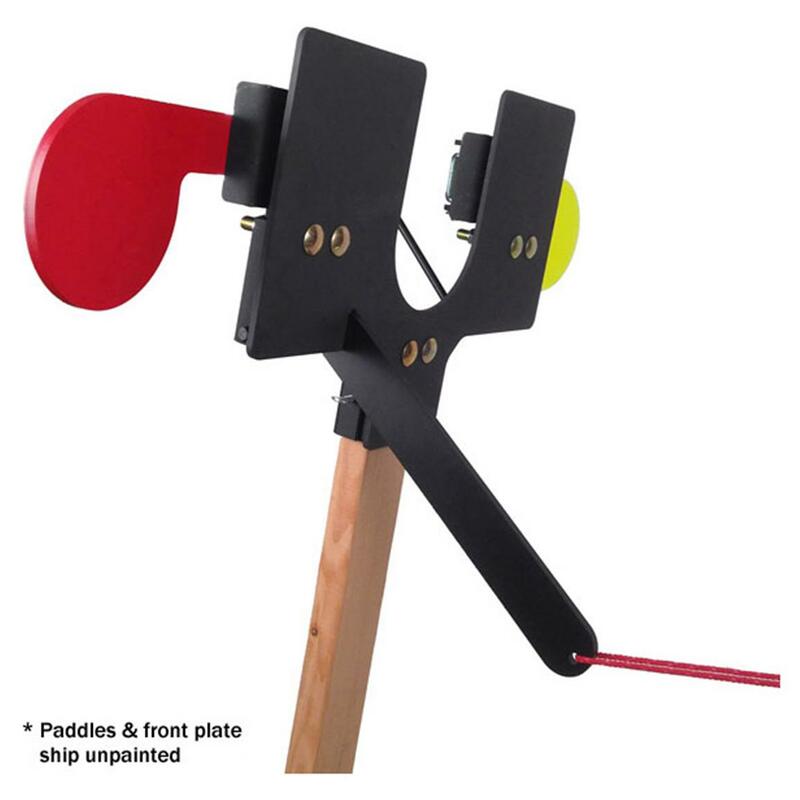 Shooter one engages the left paddle (red). Shooter two engages the right paddle (yellow). 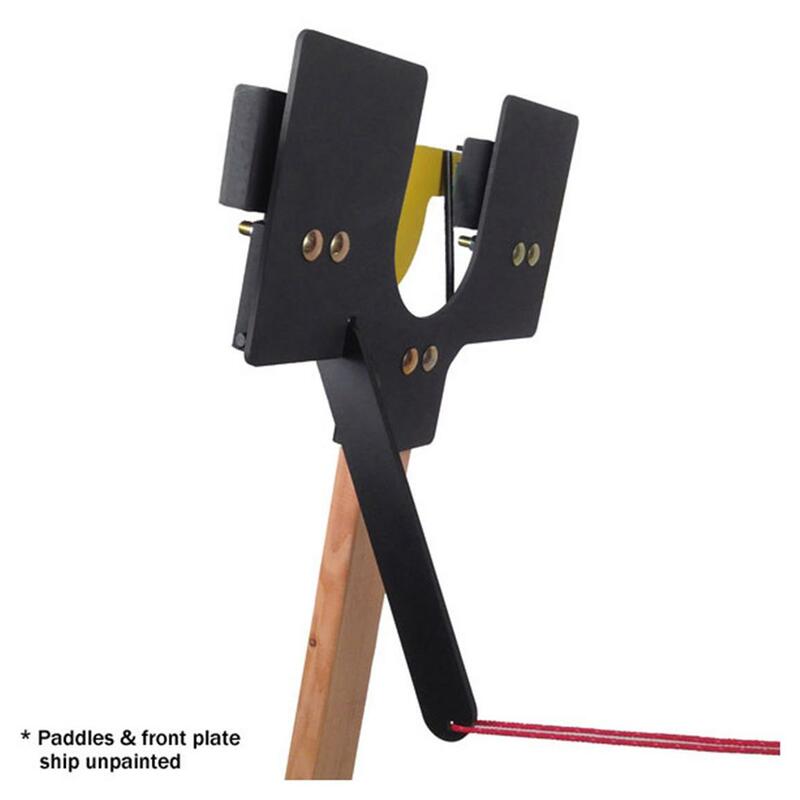 When hit, the paddles rotate and overlap in the center. The winner's color is automatically displayed in the window. The target is reset by pulling a rope (not included). Rated for all non-magnum handguns, minimum distance of 10 yds. Shoot your order in by going today! Assembled: 5'h. x 3' w.